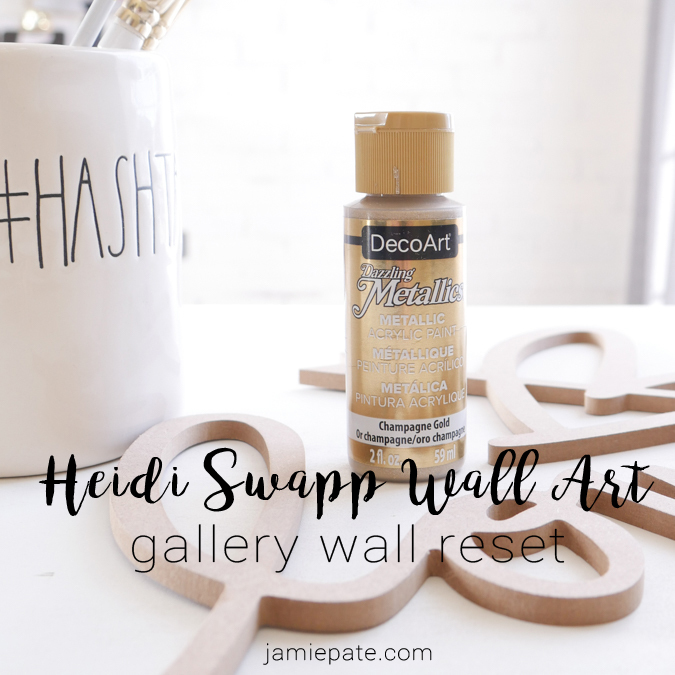 Heidi Swapp's Mini Wall Words makes for a super easy wall reset. You can't accuse me of keeping too much the same for too long. 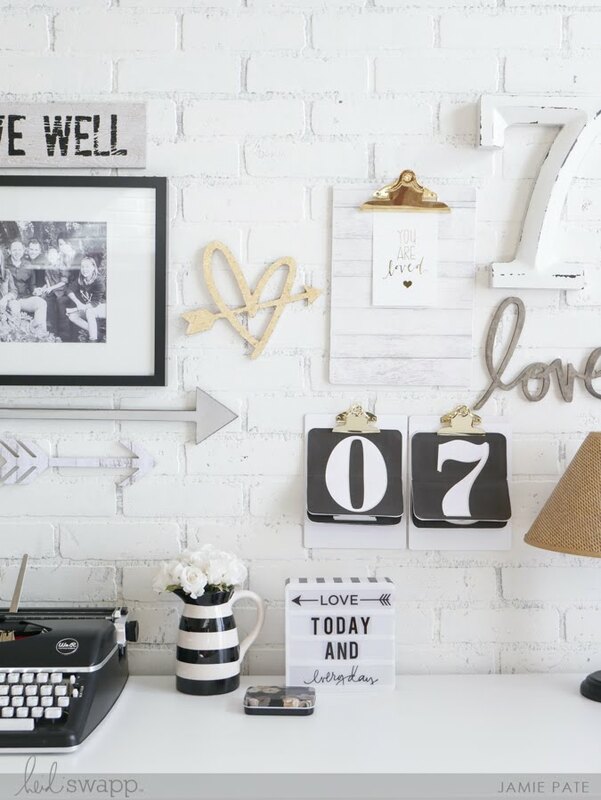 It's February and it's time for a little wall reset. 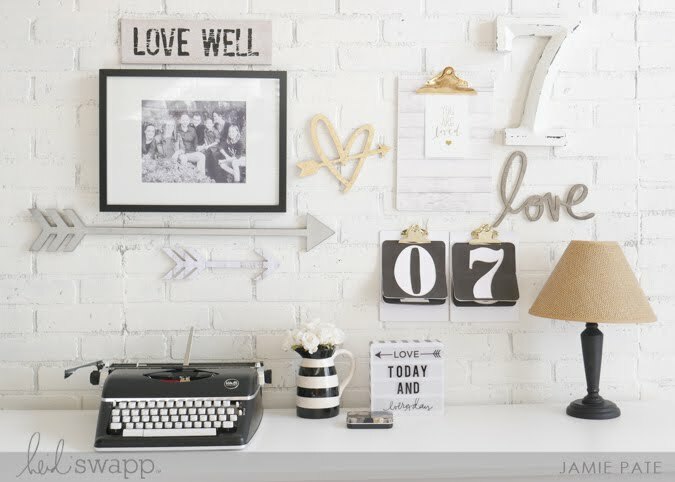 Today I want to share with you a little how-to and perhaps even a bit of wall inspiration. 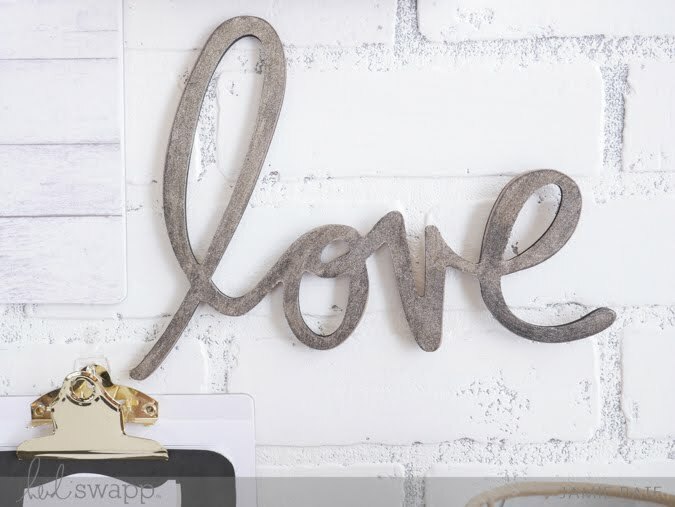 This heart is part of the Heidi Swapp Wall Art Collection available at Michaels Stores. 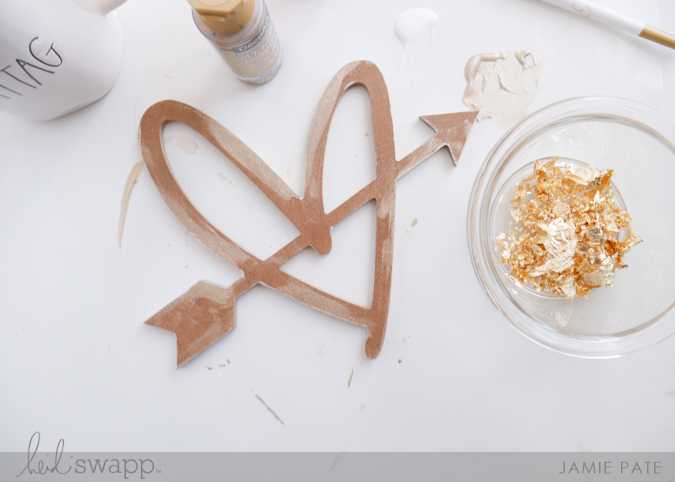 Using DecoArt Metallics in Champagne Gold, plus gold foil flakes, I am going to glam this heart up and add it to this month's wall reset. To begin, I painted the edges with the Deco Art Metallics Paint. I wanted the edge to look complete with the gold leafing on the top of the surface. That paint takes beautifully to those Wall Words. 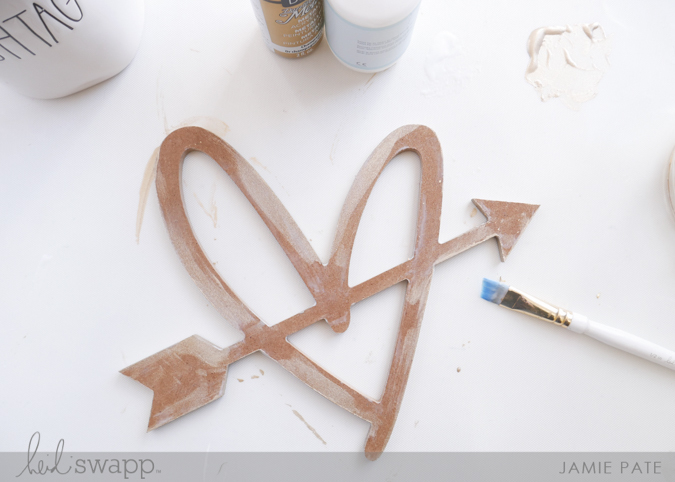 After the paint was dry, I added glue to the heart. As I worked on this surface, I discovered that the glue needs to stay fairly thin to avoid it getting too gloppy on the word. Gloppy is a word, right? The flakes take quickly to the glue. I sort of tapped them in place. I did find the glue in some places dried too fast. 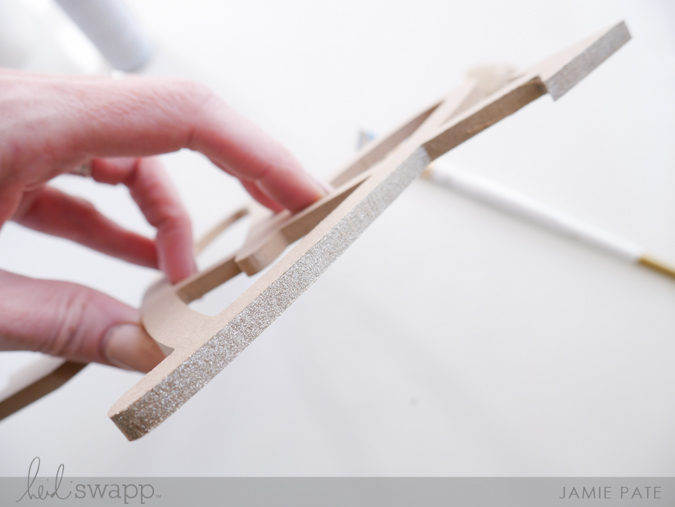 On those places I would simply brush on additional glue and then add flakes soon after applied. In the future I will probably glue a smaller portion at a time then add flakes and continue that until the piece is all covered. Heidi's instructions is to let the glue now dry COMPLETELY. I ended up just letting this piece sit over night. 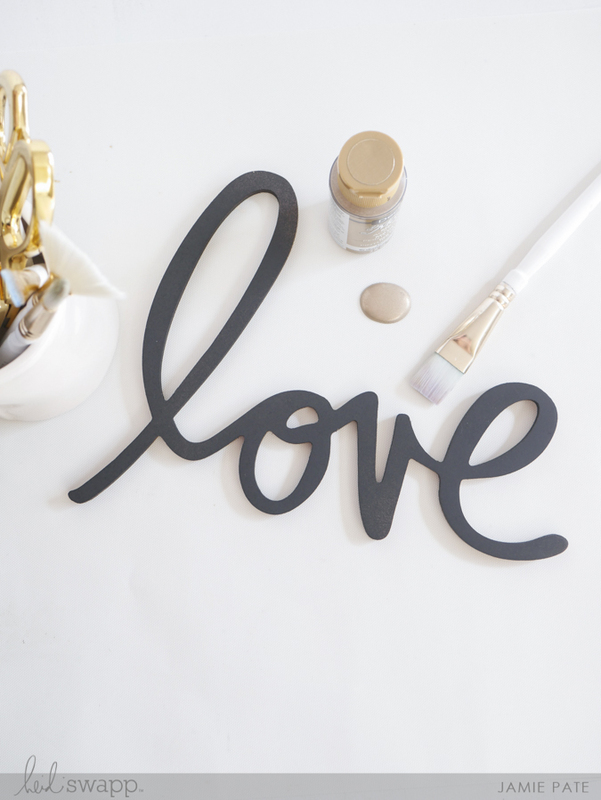 I have included a video Heidi made that includes how to add gold foil flakes to the Wall Words. 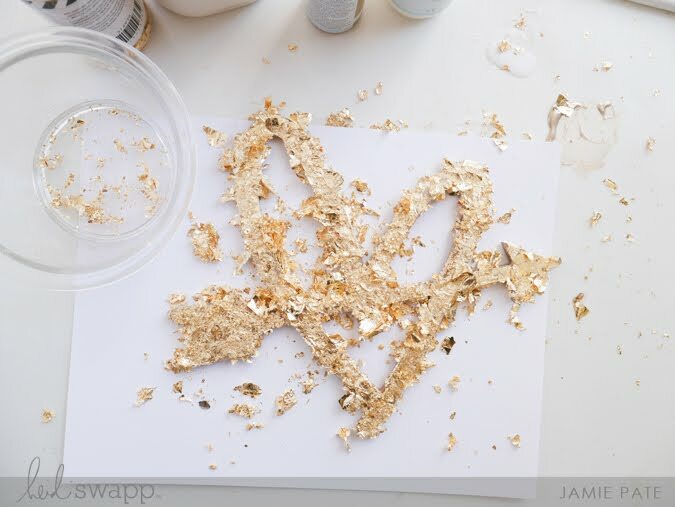 She shares beautifully how to use the gold flakes. Pretty pleased with the results. 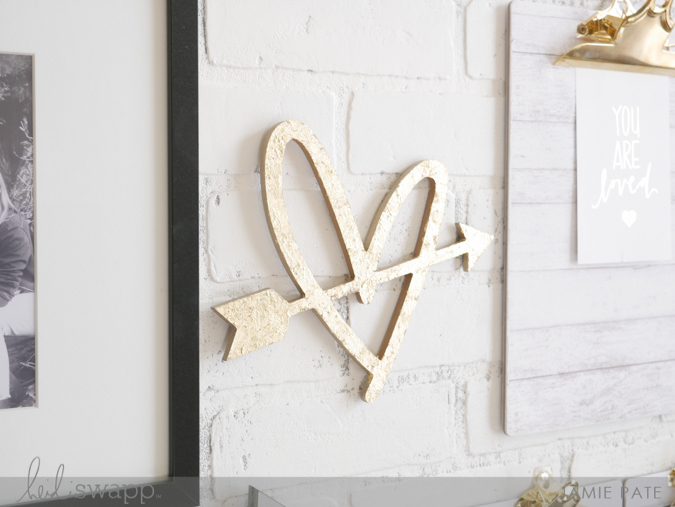 This heart now adorns my front room wall. I will reveal all in a moment. 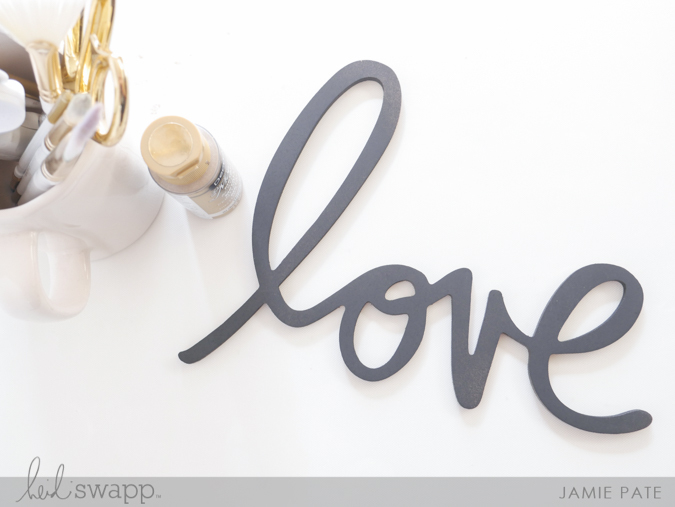 The next piece to alter for my wall reset was the 'love' Wall Art. To start I painted the word black. Next, I wanted to add a bit of shimmer. 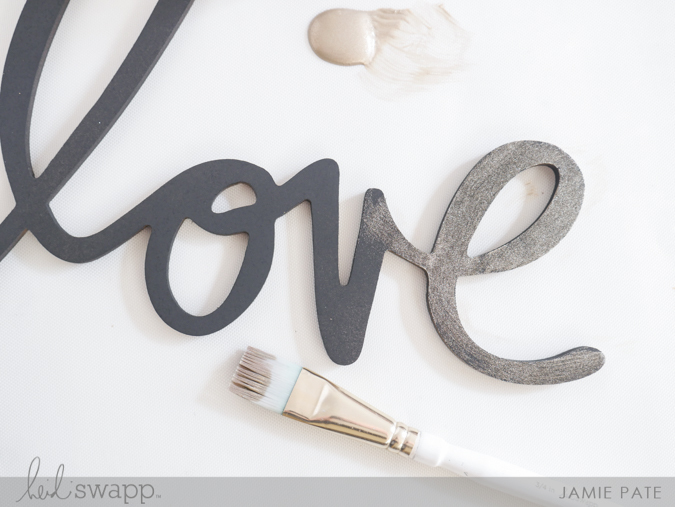 So I took the DecoArts Metallics and put it to work covering this black 'love' letter. This technique added just a bit of glam. 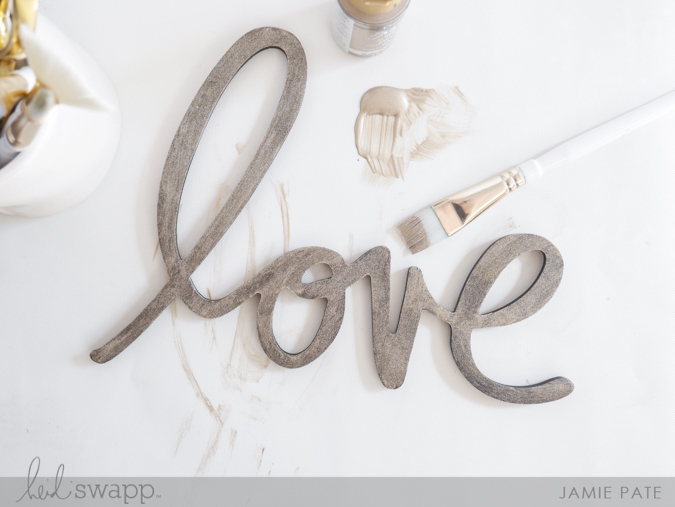 While I love me a Wall Word in black, the bit of shimmer this paint added layered over the black was delightful. And hanging on the wall. My January Wall Reset HERE is not entirely changed up. Just a few pieces here and there were switched up and a piece added and then of course the Heart and Love Wall Art. 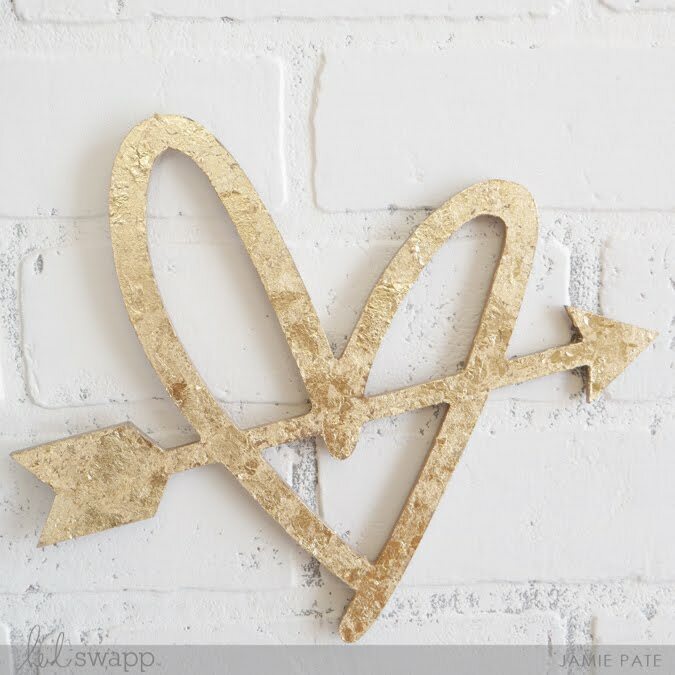 This gorgeous gilded heart is the star of this wall, in my humble opinion. So here's the challenge. Grab a couple of Wall Art words or icons. 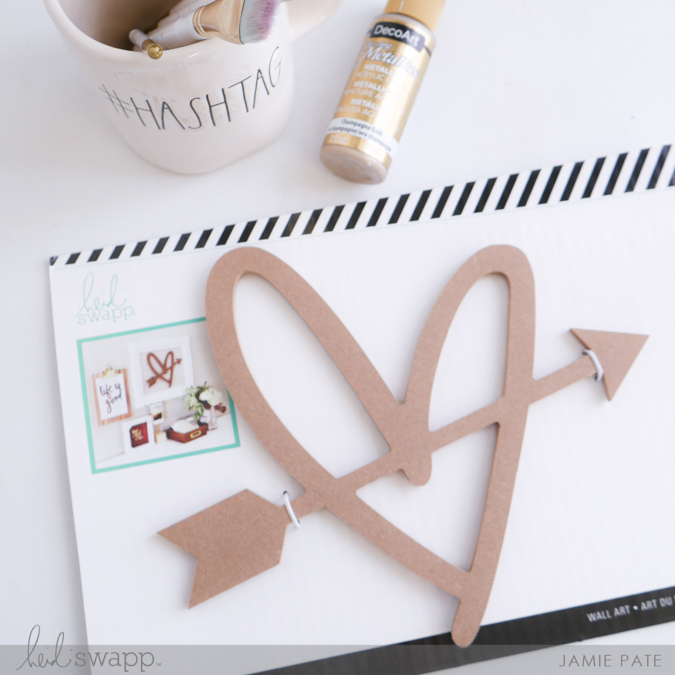 Play with paint and foil and make them your own. Make a little change on a focus wall that is just in time for the season...I'll be keeping mine up the rest of the month. But come March, I will be reworking this space yet again. 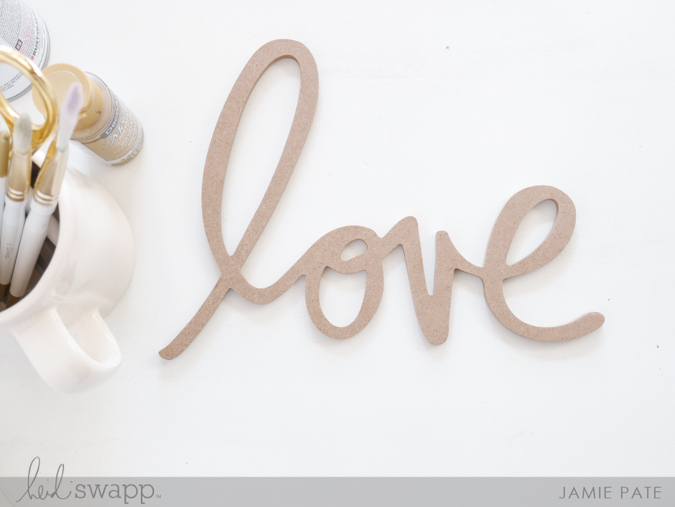 supplies: Heidi Swapp Wall Art. Gold Foil Flakes. 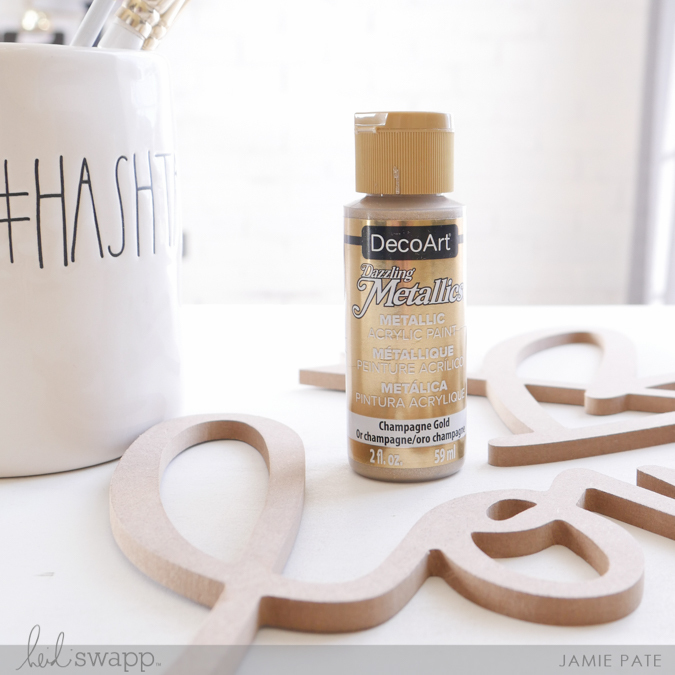 DecoArts Dazzling Metallics Paint.